Over 50 tornadoes touched down in my home state yesterday. Lives were lost, many were injured. Sometimes there just aren’t words to say what you want to say. As I spent, my afternoon yesterday glued to the weather radar, and then over an hour in the basement of the municipal building in my town, along with anyone and everyone, while we waited for the tornado warnings to expire, I thought back to my childhood. 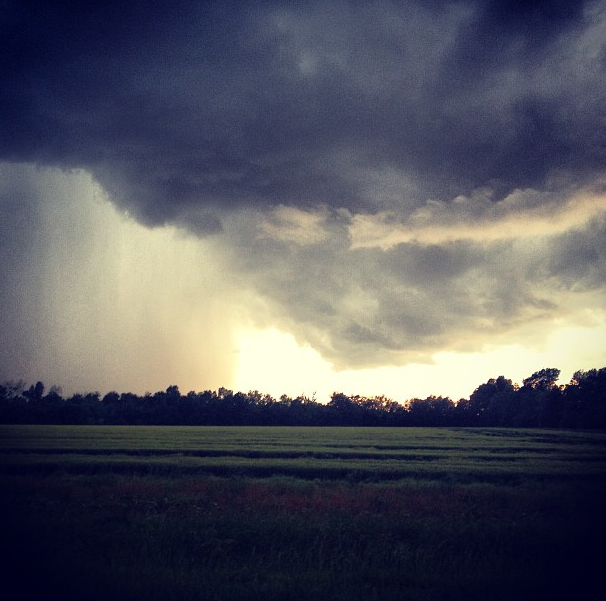 As a kid, my favorite part of severe thunderstorms and tornado watches was right after they passed. Not because everything was suddenly safe, but because everything was so green, there were puddles to splash through in my bare feet and frogs everywhere to catch. It was pretty common to see all the neighborhood kids outside with buckets, after a storm, collecting as many frogs as we could gather — for bragging rights purposes. I was trying to travel to my parents house last night and ended up having to pull over and wait, since they were under a tornado warning. This is how crazy the sky was near the Oklahoma/Kansas border. As a kid, it was always easy to find the silver lining in something that ten minutes before was completely terrifying. So as I stood in the basement yesterday, knowing what had happened in Moore, knowing how much destruction was occurring all across the state I love, and even into my Middle-of-Corn, Kansas I wondered where was the silver lining in all this? Collecting frogs and splashing through puddles wasn’t going to make this better. My answer came in the hours after the storms passed, and into this morning. News stations, Websites, Facebook, Twitter, Instagram all completely covered with people showing their support, prayers, love, donating money, blood, clothes, water, their own time. 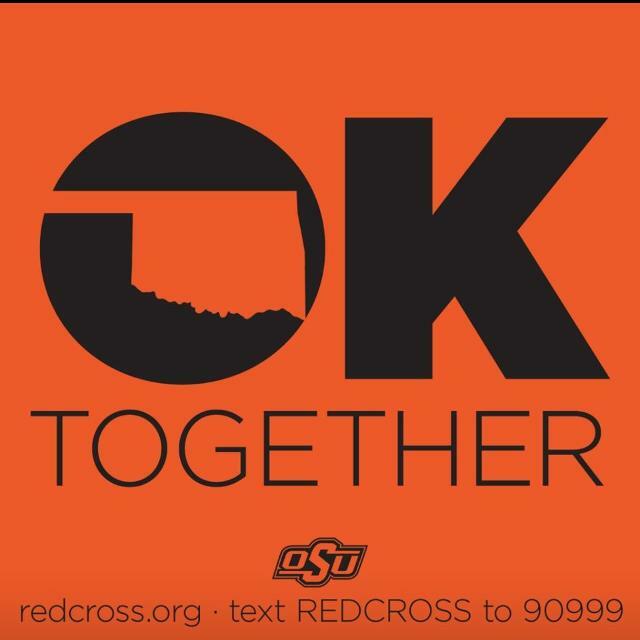 What surprised me most was that is wasn’t just the state of Oklahoma banding together, it was the Nation. Wow. This just goes to show even in a time when our country is so divided, people can put aside everything and the majority can come together in the aftermath of destruction. There really is a silver lining in every dark cloud. If you are looking for ways to help, donations can be sent to the Red Cross by texting REDCROSS to 909-99, or to the OKC Food Bank by texting FOOD to 32333. But most importantly continue to keep the those involved, their family and friends in your thoughts and prayers.